My Thumb Clicks (and Hurts) When I Bend It. Could I Have Trigger Finger? Wondering why you might experience a painful click when you bend a finger or thumb? Find the answers to questions that pique your curiosity in our series, The Short Answer. Rheumatologist Chad Deal, MD, answers this one. Q: My thumb clicks when I bend it. Could I have trigger finger? A. People tend to bend their fingers up and down without much thought. But if you have a condition called “trigger finger,” this can be very painful. As you try to unbend an affected finger or thumb, the digit locks into place like a trigger — oftentimes clicking painfully as you extend it. The cause of this problem? Inflammation of tendons located within a protective covering called a tendon sheath. While a tendon usually glides easily through its sheath due to a lubricating membrane called synovium, an inflamed and swollen or nodular tendon can prevent this motion. As a result, moving the finger or thumb may pull the inflamed portion through a contracted tendon sheath, making it snap or pop. Soreness at the base of the finger or thumb. Painful clicking or snapping when attempting to flex or extend the affected finger. Affected finger or thumb can lock into a flexed or extended position as the condition worsens. Abnormal and often permanent shortening of the muscle may eventually occur. 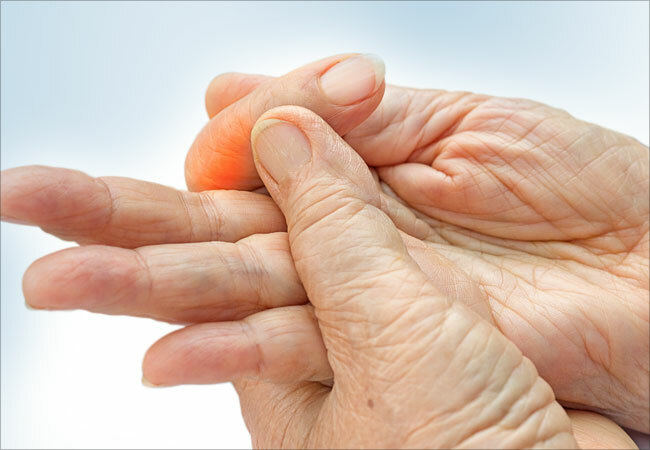 Although highly repetitive or forceful use of the finger or thumb can cause trigger finger, medical conditions such as rheumatoid arthritis, gout or diabetes may affect the tissues and cause trigger finger. Treatment begins with limiting activities that aggravate the condition. Your physician may recommend wearing a splint on the affected finger or thumb to restrict joint movement. If symptoms persist, you may benefit from nonsteroidal anti-inflammatory drugs (NSAIDs), such as ibuprofen or naproxen. Steroid injections of the tendon sheath usually result in significant relief in the majority of patients. If trigger finger does not respond to conservative measures or consistently recurs, surgery may be recommended to reliever the tendon sheath and restore movement.